SECRET VINTAGE FAIR IS TOMORROW! Yes, tomorrow is the big day!!! 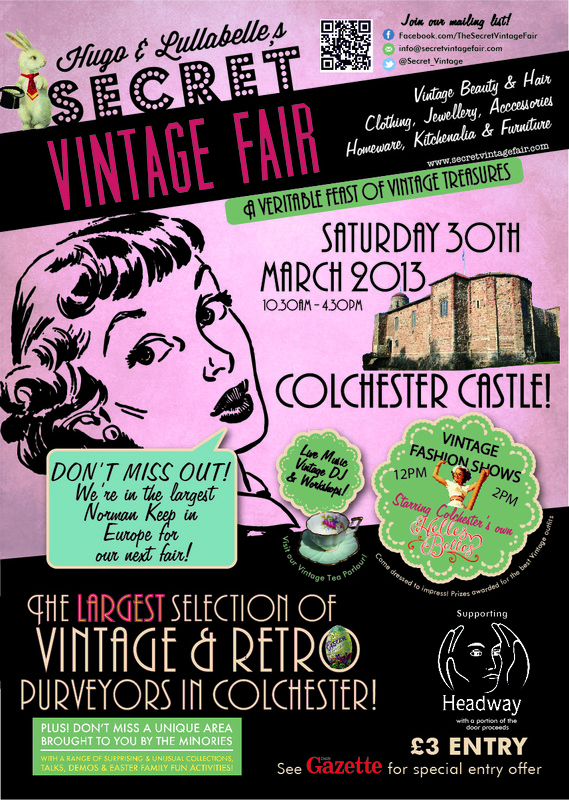 The Secret Vintage Fair at Colchester Castle!!! Come along for an amazing day in the largest Norman keep in Europe! What an fantastic place to have a vintage fair. There will be 80 stalls (including me of course! ), live music, vintage DJ, workshops, fashion shows and a fabulous tea room! This hugely ambitious fair will be a real treat, I can't wait for it! I've got a double stand there, so loads of room to display my collection of vintage inspired pictures, frames and foamboards. 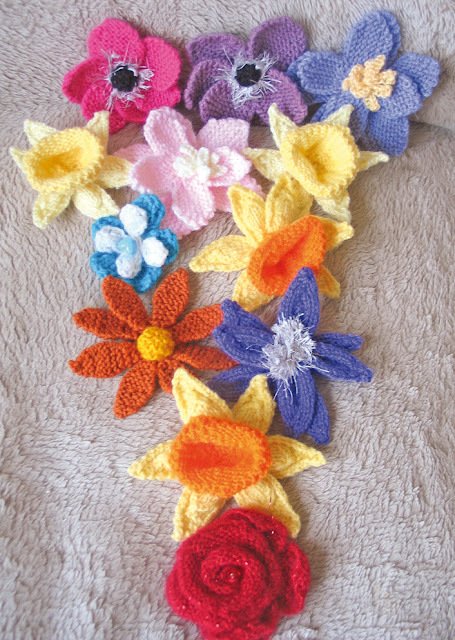 I have some brilliant books of classic movies, football and music plus much more, including new stock of my very popular hand-knitted vintage style bags and flower brooches. Which were a huge hit at my last fairs! 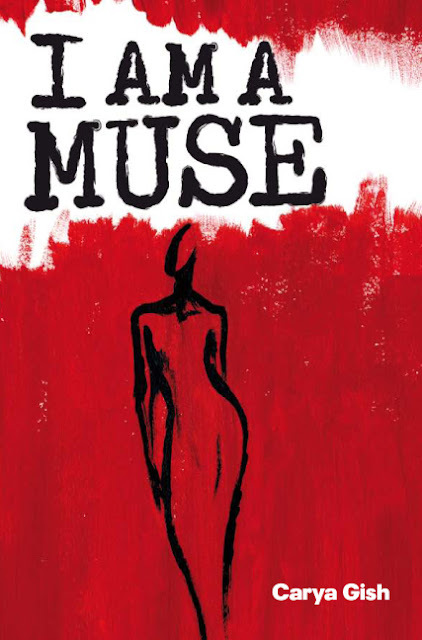 Her brand new book, I Am a Muse, isn't officially out yet, so will be on sale at a special pre-publication price of £6. You can even meet the author at the stall and get a signed copy! I'm going to be on the top floor of the castle, so once you've browsed downstairs, come up and say hello! Kick off is at 10.30am tomorrow until 4.30pm. Admission is £3, part of which is being donated to the charity Headway, a very worthy cause. Fantastic poster with all the details! 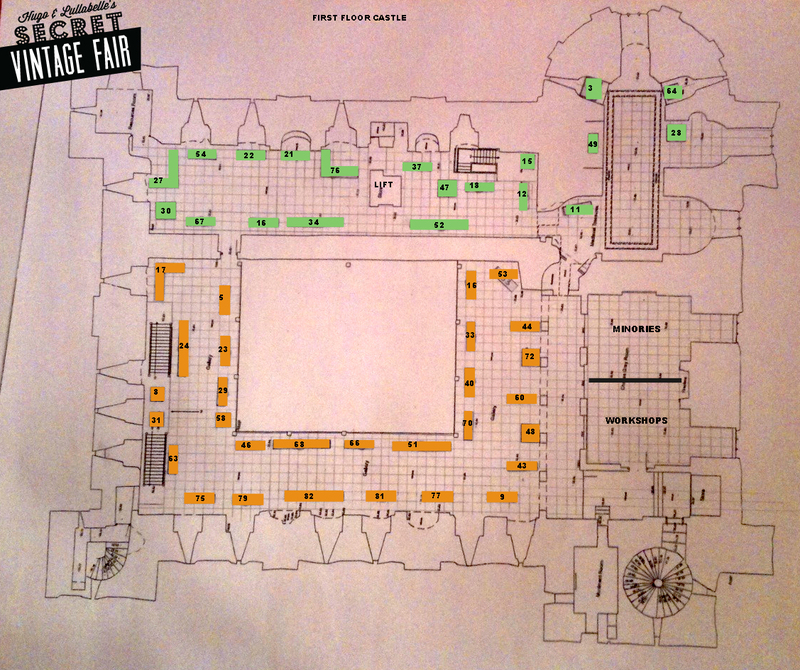 Yes, the fair really is in this magnificent castle! Top floor plan of the castle, I know it's a bit small, but I'm stand number 51! 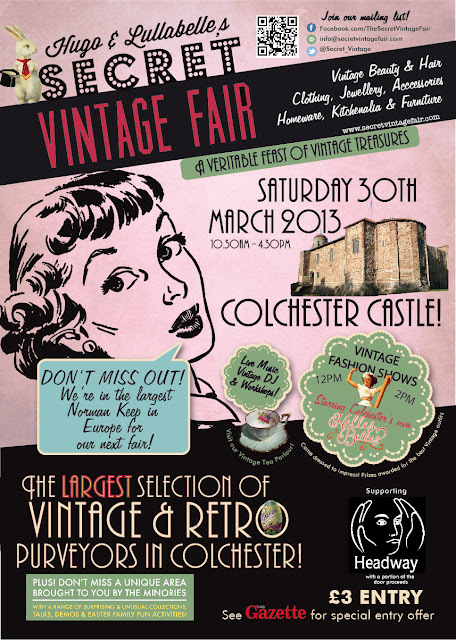 The new vintage style bags on offer at Colchester Castle! And the flower brooches, including fantastic daffodils! The brand new book that you can buy on my stall! The latest issue of the splendid TEASE AND CAKE is out now!!! It is packed with truly amazing photos of vintage inspired pin-ups and great articles. 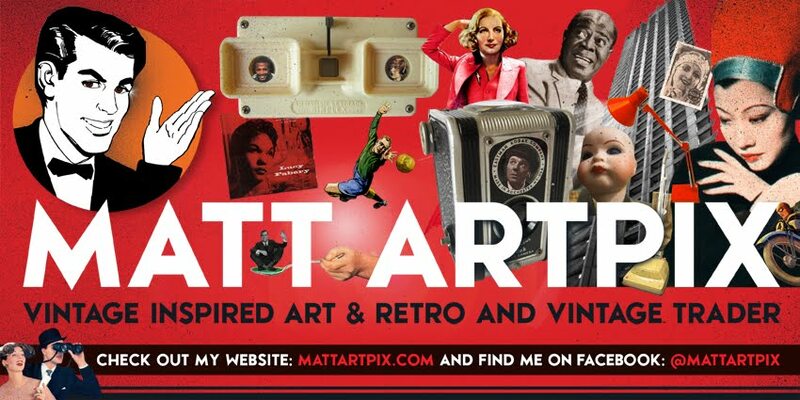 AND, on page 26, there is my very own Matt ArtPix advert!! The first time I've advertised in a magazine! Fabulous cover for Issue 3! Yes, that's me on Page 26! 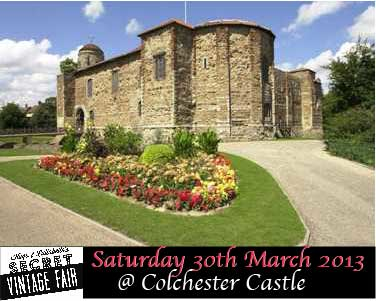 Yes, the fantastic Norman castle right in the heart of Colchester! This will be a unique and amazing place to hold a vintage fair and is going to be a sensational event! The big day is Saturday 30th March and it all starts at 10-30am. I'm very proud to be a part of all this and can't wait to be there. I'll be having a double stall, so lots of room to display all your favourites, some new stock and something very special that I'll reveal very soon!! 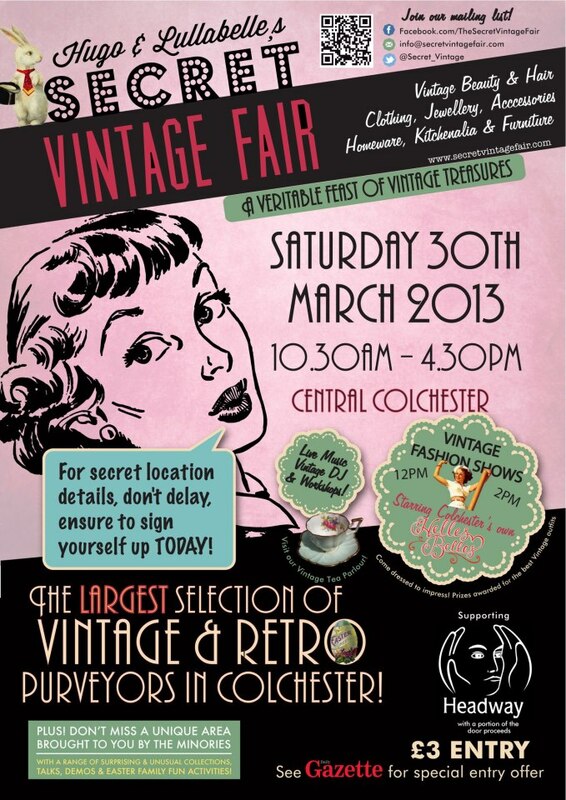 I'm very pleased to announce that I've been accepted to be part of the fantastic SECRET VINTAGE FAIR!! These special events are the talk of the town and that is all I can reveal to you at this moment! All very mysterious and adds to the anticipation for what is going to be an amazing fair. Had a fantastic time at the two fairs I did last weekend! Both DOTTY SPARKLE's VINTAGE & MODERN SPRING FAIR and the VINTAGE & RETRO FAIR at ORSETT HALL HOTEL were roaring successes!! I've very pleased to say that my new range of Vintage Style Bags and Flower Brooches were extremely popular. Special thanks to my Mum for knitting them!! And also, my new designs all did very well, selling frames, cards and foamboards all day! I now have a lot of work to do to replenish the stocks, so I'll get cracking this week. 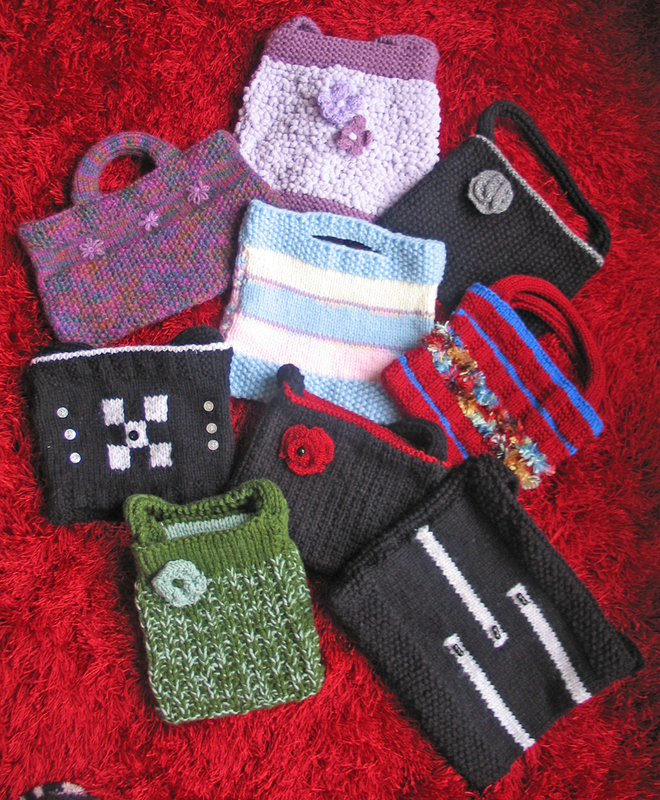 I also have many more new ideas, so come along to the next fairs to see! I've booked up for Haddon Events' new VINTAGE & RETRO FAIR at the Brentwood School on 5th May. Here is their amazing list of upcoming events! 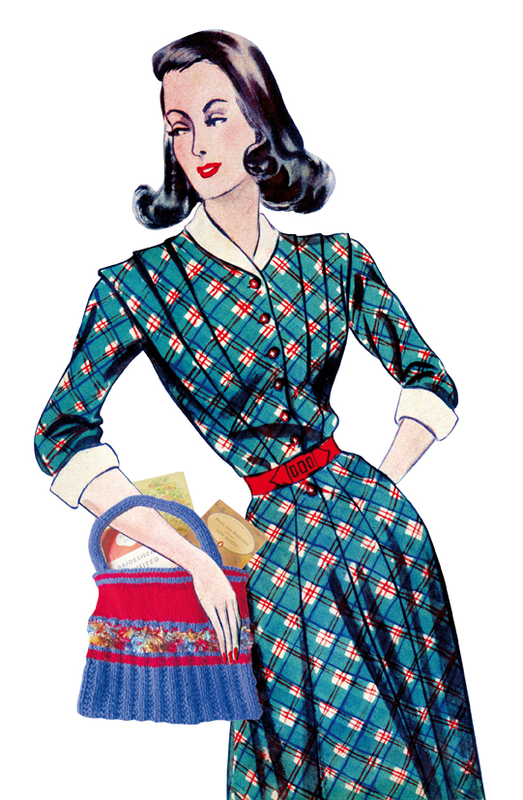 Just one of the people who bought a Vintage Style Bag this weekend!